Data center fiber optical transmission system requirements on the bandwidth shows high growth trend, while the use of a new generation of fiber optic and fiber optical module can continue to explore the potential of optical network bandwidth. Since multi-mode fiber has lower overall cost of active and passive, prompting multimode fiber applications have an absolute advantage in the data center. The launch of OM4 new category EIA/TIA492AAAD multimode fiber standard, providing a better transmission way for multi-mode fiber widely used in the future. Multimode fiber from OM1 to OM2, from OM3 cable use VCSEL laser optimization technique to OM4 cable, the bandwidth is progressively enhanced, promoted by a large growth requirements of online media and application in the cloud computing environment, this module is the ideal communication solution for data center, server farms, network switches, telecom switching centers and many other needs high-speed data transmission embedded applications, the system applications include data aggregation, backplane communications, proprietary protocol data transmission and other high-density / high-bandwidth applications. In the 40G/100G state port device such as QSFP will be directly connected to the MTP/MPO connector, regardless if the fiber channel is connected by several fiber optic cables, or what type of connection of the fiber connected. 40G/100G of equipment and equipment ultimately channel connection need to form a special model, so that the equipment transmitting end and the receiving end of the channel correspond to each other. MPO / MTP high density fiber pre connection system currently mainly used in three areas: high-density data center environment applications, fiber-to-building applications, inside connection applications between optical splitter, 40G, 100G QSFP SFP+ and other fiber optical transceiver devices. There are a series of high-density parallel optical connectivity products adaptable to modern data center fiber transmission, which are 16��8 OM3/OM4 MPO bundle, MPO Loopback and QSFP Jumper. MPO/MTP Fiber Cable is offered for various applications for all networking and device needs like 100 Gigabit modules. It uses a high-density multi-fiber connector system built around precision molded MT ferrule. MPO/MTP fiber cable is available in UPC and APC finishes, and support both multimode and single mode applications. Work with both VCSEL laser and LED sources, 10G OM3 OM4 MPO/MTP Cable provide 10 gigabit data transfer speeds in high bandwidth applications and they are 5 times faster than standard 50um fiber cable. Multimode MPO/MTP Cable is the cable of choice for most common local fiber systems as the devices for multimode are far cheaper. Single-mode MPO/MTP Cable is primarily used for applications involving extensive distances. The MPO/MTP Trunk cable is designs for Data Center Applications. The single-mode and multimode MPO/MTP cables are round cables with the outer diameter of 3.0 mm or 4.5 mm. The connector the cable is terminated on is so called MPO/MTP connector. With server virtualization and cloud computing development and the trend of network integration, bringing greater demand of faster and more efficiently data center networks. 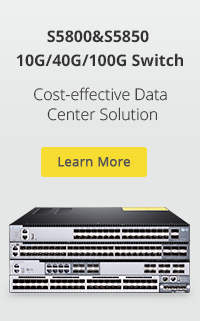 Currently 10G switch is consist of 48 10G channels per line card, mainly limited by the SFP+ module form factor. 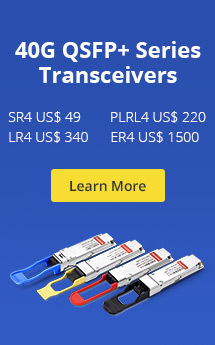 To meet the higher bandwidth requirements, customers can use the higher-density QSFP+ ports developed by QSFP+ Jumper, and by increasing the per-channel rate and increasing port density to achieve customers’ high bandwidth requirements. This entry was posted in Fiber Cable Assemblies, LC/SC/MTP Patch Cables and tagged MPO/MTP Fiber, OM3 cable, SFP module. Bookmark the permalink. Is 400G Ethernet Still Far in the Future? How to Build 25G Network?